By Loren Spiotta-DiMare. Illustrated by Deborah DeShon. She’s a decorated Marine, a combat veteran, and a horse. Meet Sergeant Reckless! Sergeant Reckless is the remarkable true story of a horse who overcame great odds to become a hero. Raised and trained to become a racehorse in Seoul, Korea, Flame is destined to be a winner. But when the Korean War breaks out on the day of her first official race, her life changes forever. 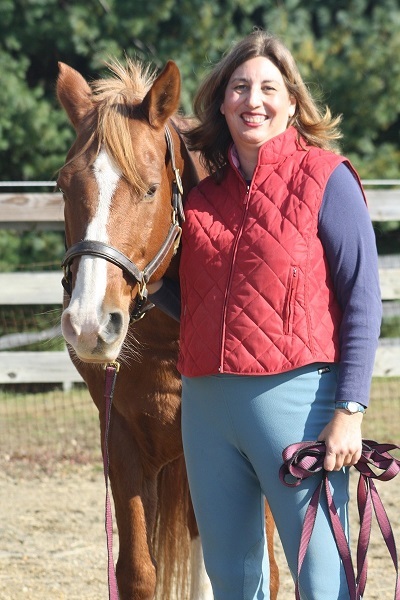 Flame’s owner, Kim, flees to a safer place along with his family and beloved horse. When he returns, he meets an American Marine, Lieutenant Pederson, who purchases the little sorrel mare to serve with the Recoilless Rifle Platoon. The Marines rename her Reckless, and her amazing second career begins. Loren and Elwood. Courtesy of Loren Spiotta-DiMare. A lifelong animal lover, Loren Spiotta-DiMare has been writing about her ­favorite subjects for forty years. She lives in rural Northwestern New Jersey with her husband, Lou, several dogs, four rabbits, numerous pet birds, and a Koi pond. Loren’s beloved Quarter Horse, Elwood, lives at a farm nearby. Loren and Elwood enjoy Western riding, working at liberty, and trick training. The author says El bears a striking resemblance to Sergeant Reckless. Over the course of her career, Loren has had twenty books published and numerous feature articles in regional and national magazines. Recognized by the Dog Writers Association of America, Humane Society of the United States, Doris Day Animal Foundation, New Jersey Press Women, and USA Book News, Loren’s work has been published both nationally and internationally. For more information about her books, visit www.LorensReadingRoom.com. Deborah DeShon grew up on a farm in New England. She and her six siblings had the good fortune to be raised with numerous horses and ponies. Deb’s talent and lifelong love of art emerged at a young age. She particularly enjoyed drawing and painting her beloved equine companions. 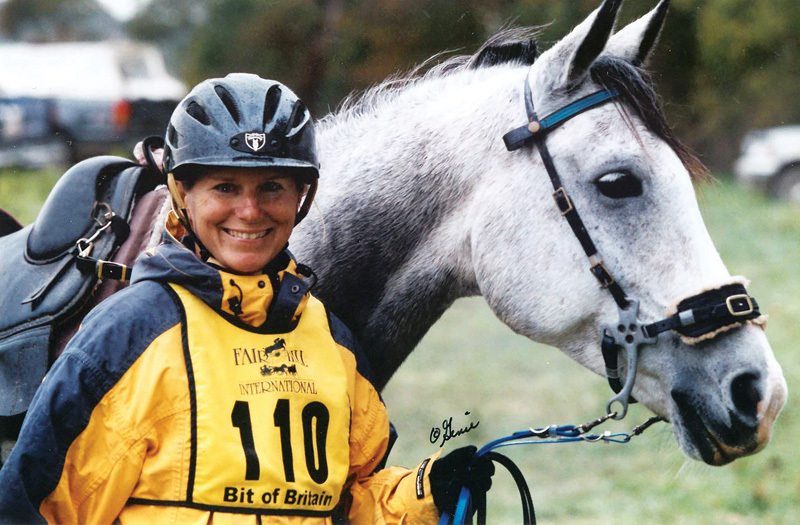 Eventually, Deb developed a passion for Endurance Racing. She enjoyed the training, 100 mile rides, team effort, and the exhilaration of crossing the finish line. The sport took her all over the world as both a competitor and crew member. Meanwhile, Debby also focused on her artwork, taking numerous classes in painting, architecture, draft and design. Her love and knowledge of horses comes through in her beautiful pastel, watercolor, and oil paintings. Deb and her husband, Jim, buy old homes in disrepair and bring them back to life with Deb’s artistic talent and Jim’s skills as a contractor. The couple have two children and four grandchildren. They spend their time between homes in Maine and Florida. Debby is a member of the Western Maine Art Group. 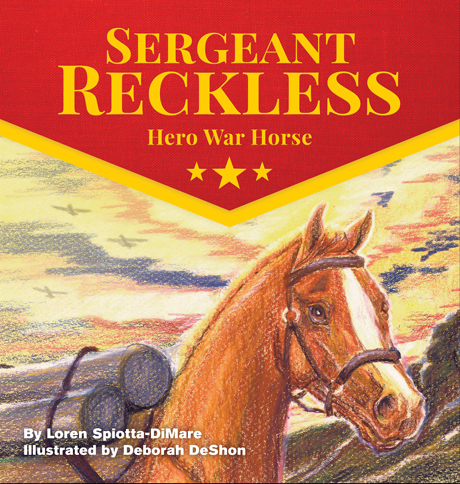 Sergeant Reckless: Hero War Horse is her second ­picture book for children.